It’s been a busy week for Virgil Abloh. After Monday’s announcement that he’d be the new menswear director at Louis Vuitton and the official unveiling of his collaborative white Vapormax, Nike has now announced that Abloh’s unique take on a soccer boot, the Mercurial Vapor 360 will be releasing this Saturday. 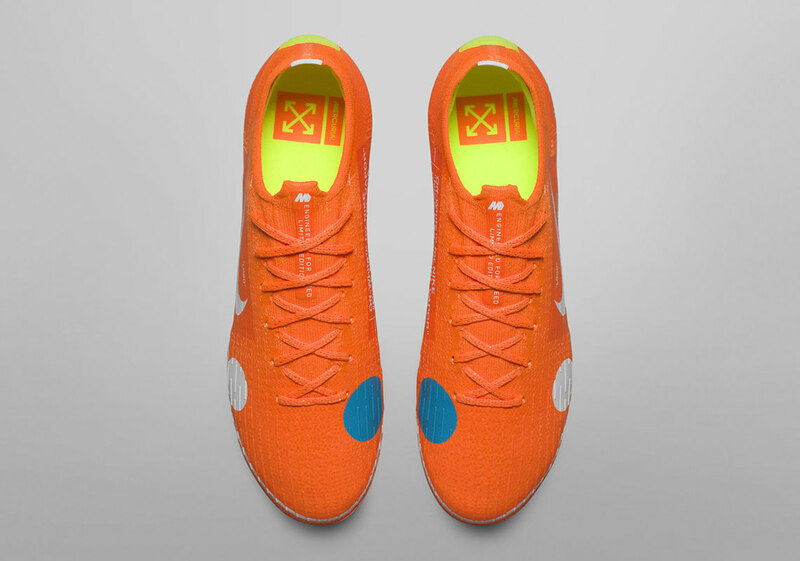 The bright orange cleat features extra-large white and blue dots on the Flyknit upper along with Virgil’s signature all-caps branding on the medial side of the heel. 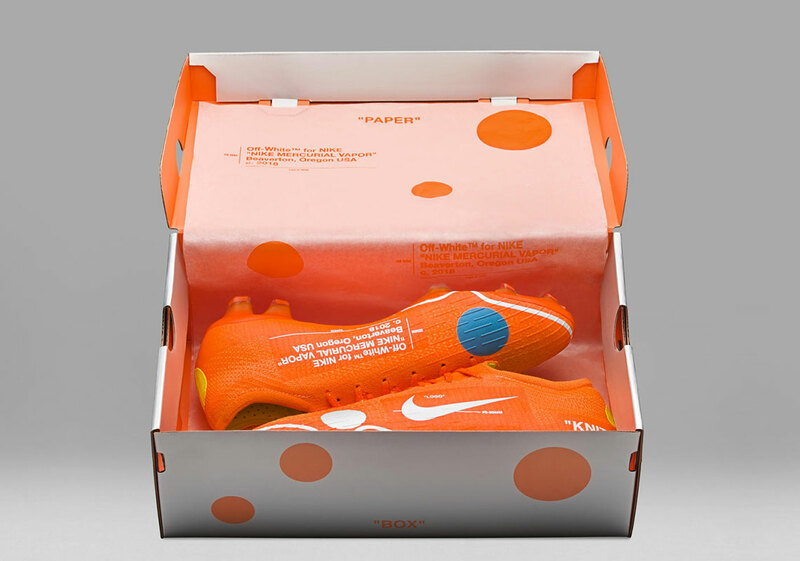 A matching bright orange shoebox with more branding accompanies the loud boots. 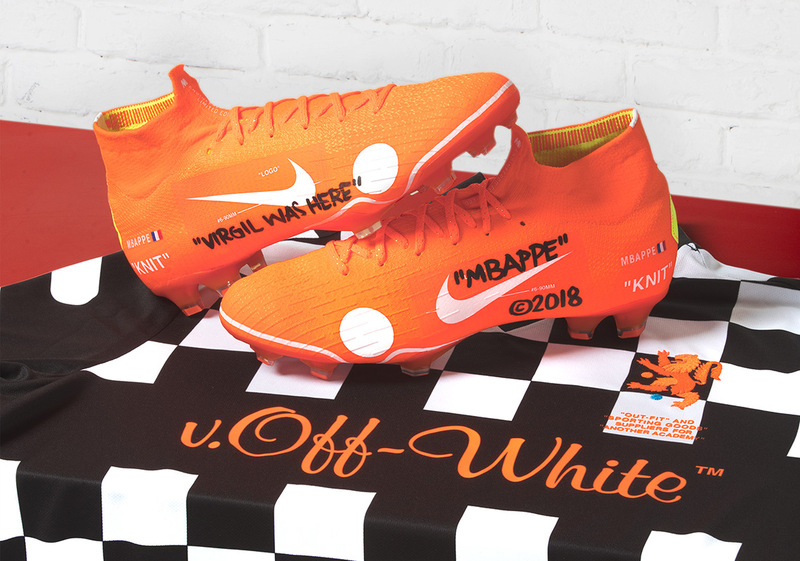 The OFF WHITE frontman stated that the design inspiration behind the cleat was the optimal way to kick a soccer ball, stating: “For this Mercurial, I was interested in bridging the gap between foot and eye coordination,” says Abloh. 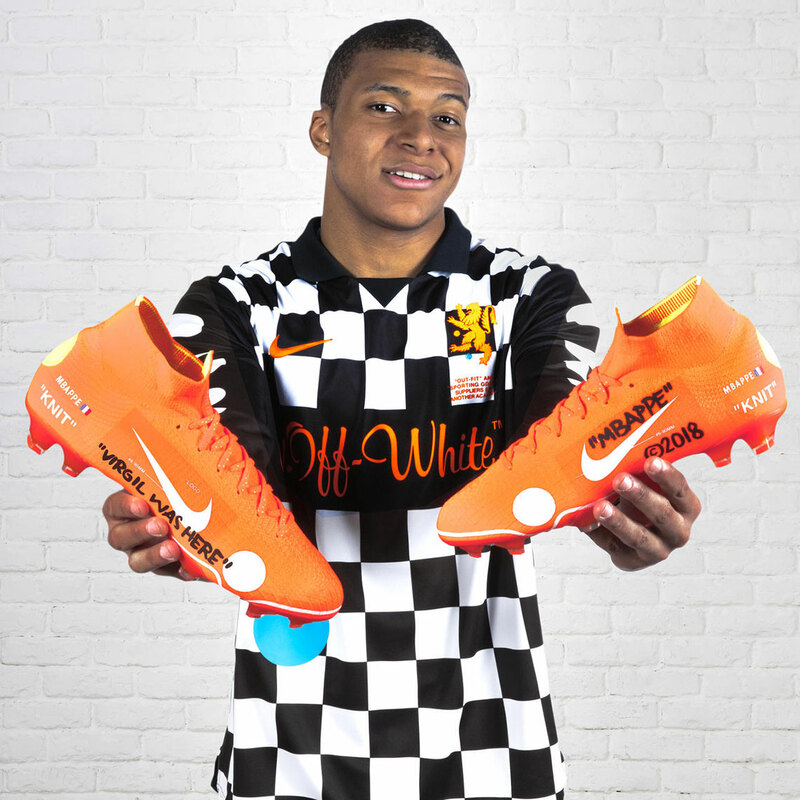 “All the dots on the boot represent an optimal place to strike the ball.” The cleat will be worn on-pitch Saturday by Kylian Mbappé, and will release in limited quantities on Nike.com the same day.